Exactly 200 years ago John Broadwood and Sons built a grand piano, chosen to be the finest of the time, as a present for Ludwig van Beethoven. This instrument, still in existence, is known as the Beethoven Broadwood. In 1817 leading piano maker Thomas Broadwood, fourth son of John Broadwood, set off on an extended tour of Switzerland, Austria and Germany. In Vienna he met Beethoven, then 47, who was by then quite unwell and starting to become deaf. Broadwood decided to present the composer with his latest grand piano. He asked five of the most accomplished pianists in London – Friedrich Kalkbrenner, Ferdinand Ries (also Beethoven’s London agent), Johann Baptist Cramer, Jacques-Godefroi Ferrari and Charles Knyvett – to choose an instrument for Beethoven, from his factory. The piano was sent from London on 27th December, 1817, and arrived at Trieste in early spring, whence it was taken by cart to Vienna. It was the only English piano in Vienna. Beethoven cherished the piano, and he used it to write many of his later works including the sonata ‘Hammerklavier’ (op.106). He showed it off to his friends and continued to use it even after he received a more modern Viennese piano from Conrad Graf in 1826. But as Beethoven grew older he became frustrated by deafness, and inflicted severe damage on the piano. It was reported to Broadwood in 1824 that “the broken strings were mixed up like a thorn bush in a gale” (comments attributed to Johann Andreas Stumpff, a Viennese piano maker). After Beethoven’s death C Anton Spina, a Viennese music publisher purchased the instrument. He subsequently presented it to Franz Liszt in 1845, and Liszt put the piano in his library in Weimar. He later donated it to the Hungarian National Museum, where the piano can still be seen, and sometimes heard. In 1992 pianist Melvyn Tan, famous for his work with early instruments, played the piano at a number of concerts across Europe (Vienna, Bonn, Bath, and London). 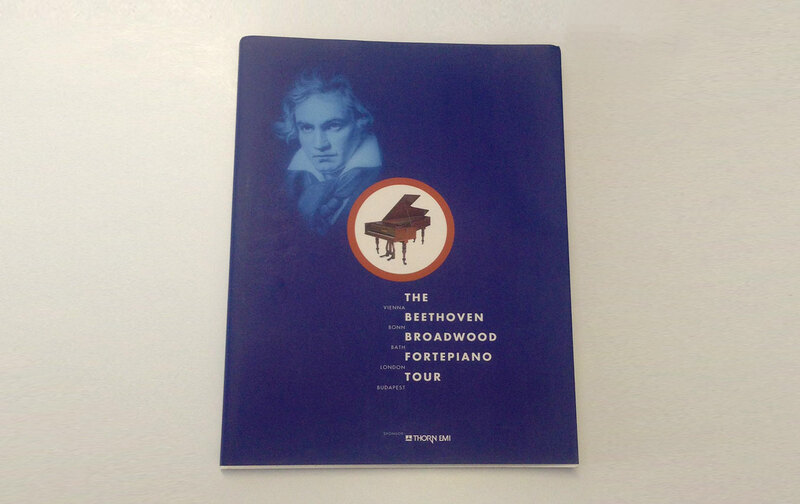 This was known as “The Beethoven Broadwood Fortepiano Tour”. Prior to the tour the piano was extensively restored by David Winston. He did so in such a way that the “English” character of the sound was preserved. Winston was briefed only to use historically correct materials and practices. Also, because of the importance of the instrument, he was to ensure that all restoration work was reversible. A real challenge. EMI Classics released a landmark album of Tan playing the Beethoven Broadwood the same year (CDC 7 54526 2). 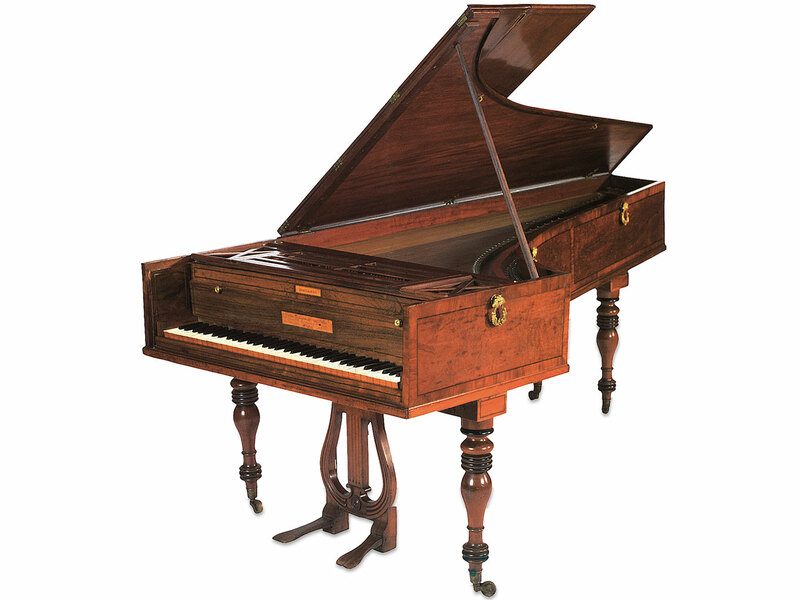 The piano (serial #7362) features the English grand action, and has a 6 octave keyboard. Broadwood pianos were much stronger than Viennese instruments and consequently allowed a much greater string tension. This gave them the distinct and more powerful sound demanded by pianists of the time. The Beethoven Broadwood is, essentially, a standard model (albeit handpicked for its quality), but has become a truly iconic instrument. It has a unique provenance, and consequently virtually priceless.